A Forest of Things is a participatory action created for the distracted-workshop at the 26th International Biennale of Graphic Design, Brno, CZ. The work is a group commonplace book. 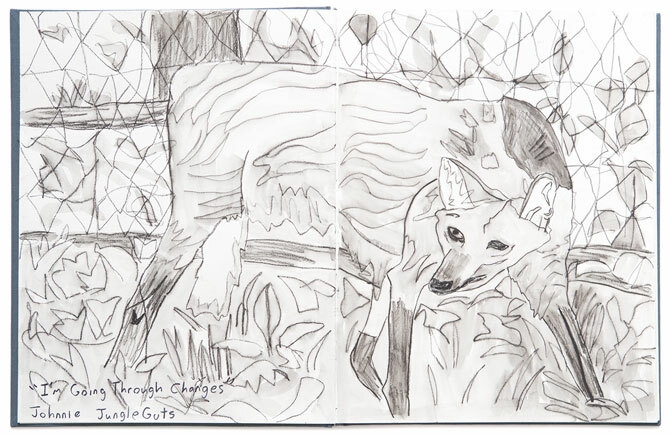 Visitors were invited to freely contribute any form of writing or drawing to its blank pages. 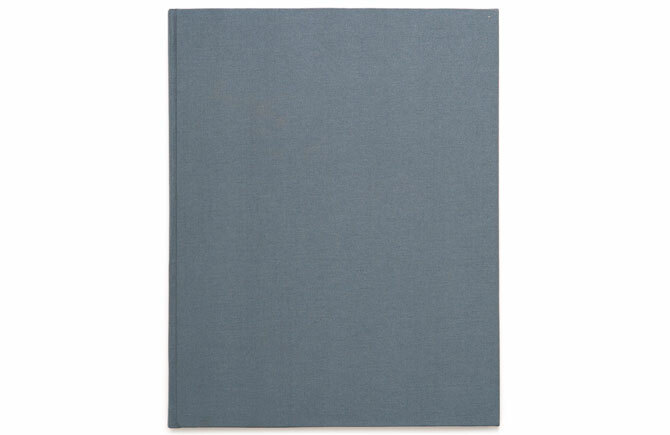 Hand bound in blue-grey cloth, the title is embossed in simple gold lettering on the spine. Within the distracted-workshop, the book was laid on a dedicated table, with its cover fixed open and contents always visible. 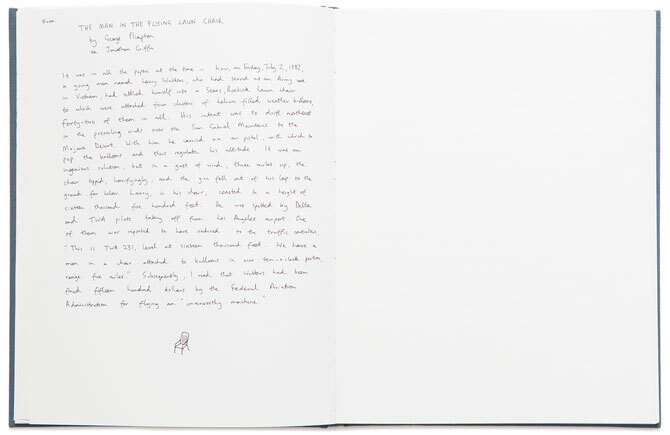 Following the Biennale, the book has continued to receive contributions by invitation and at events. There are no restrictions on what can or can't be written. We might follow the example of Aulus Gellius, a Roman writer c. 150 AD, who jotted down in his commonplace book "whatever took my fancy, of any and every kind, without any different plan or order." What is a commonplace book? Loosely speaking, it's a collection of quotations. Fragments of text are collected, copied and organized together in some way, possibly interspersed with the author’s thoughts and observations. 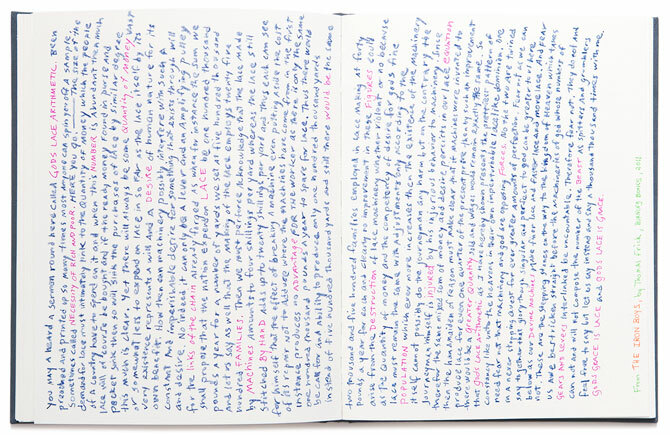 You may be keeping a commonplace book without realizing it. The practice dates back thousands of years. Marcus Aurelius, John Milton, Thomas Jefferson, Ralph Waldo Emerson, Kate Chopin, Mark Twain, Wallace Stevens and countless men and women have kept commonplace books. Those that survive illuminate a private, often idiosyncratic dimension of history. For example, the commonplace book of Richard Hill, a fifteenth-century grocer in London, contains instructions for brewing beer, recipes for rat poison, advice for making confession, poems, card tricks, puzzles and records of events. As a form of literary collage, the practice of keeping a commonplace book encourages us to break text into fragments and to join together bits and pieces from disparate sources. It raises questions of authorship and appropriation that extend to reading, writing, identity and our very thought process itself. It is a system of using books to digest books. The result is always a unique work, an aid to memory and a portrait of mind. An eclectic and unpredictable practice. With thanks to the distracted-workshop, split/fountain, Jayme Yen, and to all of the writers, artists, designers, architects, poets and visitors who contribute to the work. The distracted-workshop is an curatorial collaboration by split/fountain, Xin Cheng, Jack Hadley, Layla Tweedie-Cullen (NZ), Jayme Yen (US).